in Frederick -- Without the Stress. you can trust? Well, look no further! Here in Frederick, (and really all of Maryland), we have a grime problem. The climate here is a virtual breeding-ground for mold, mildew, algae and dirt on your home's vinyl or aluminum siding, wood, stucco or brick. It's not only unsightly and embarrassing, but also poses certain dangers. Mold, mildew & algae pose a health risk for your children and pets, and contaminants left on your home's siding can reduce it's lifespan. Unless your contractor is using low-pressure methods, you run the very real risk of permanently damaging your home's exterior. Furthermore, high pressure alone won't kill the source of mold, mildew, or algae, so it won't be long before that ugly green comes back! Thankfully, Cyclone Cleaning Services is equipped to remove all that ugly gunk, and all with safe low pressure! We use carefully selected biodegradable detergents that are lethal to nasty mildew and dirt, but safe for children and pets - and your garden! 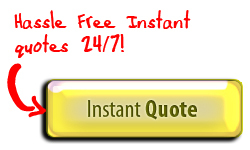 You'll love the results, and you'll absolutely love the low-stress experience! 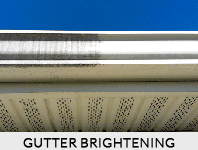 We can also take care of those ugly "tiger-stripes" (oxidation) forming on your gutters! Our additional "gutter brightening" service uses a specialized cleaning agent, to get those gutters to sparkle like they used to! Of course, you're protected by $1,000,000 of insurance, and by our 100% satisfaction guarantee - meaning that unless you're completely satisfied with the service you receive, you won't pay a penny! We're not kidding! 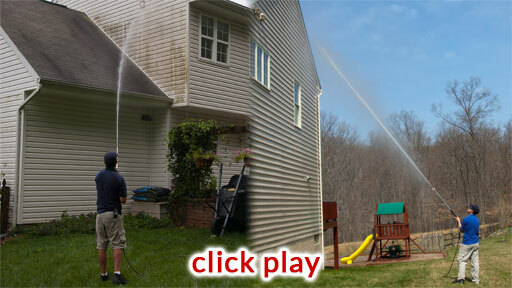 Whatever your needs, you're sure to find that one of our 2 low-pressure house washing packages will suit you perfectly. See below for more detail, and as you do, think of how happy you'll be with squeaky clean siding!